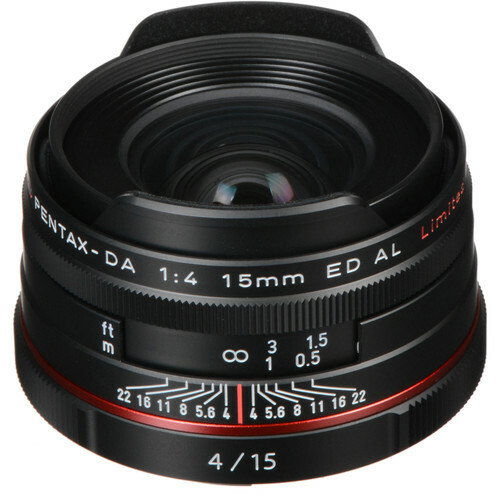 Adorama has just discounted the DA 15mm to the lowest price we've seen since July, 2016. Great time to get it if you've been considering it! Nice price. With delivery to Poland ( 84.90 $) price is still less. Wow, is that including duties & taxes for Poland? To Germany, this comes out at $735 instead. However, as long as the UK is domestic EU and the pound stays low, SRS Mircosystems is a good source. Currently £463.99 or $565 shipped to Poland/Germany including £77.34 tax - with generous European warranty and return policies. I used the link and bought one..thanks for the heads up. Every little bit helps. I can't believe i got this lens for $359 during 2015s black friday (from kenmore camera). I think this must have been some sort of global and temporal minimum. All times are GMT -7. The time now is 03:29 AM. | See also: NikonForums.com, CanonForums.com part of our network of photo forums!